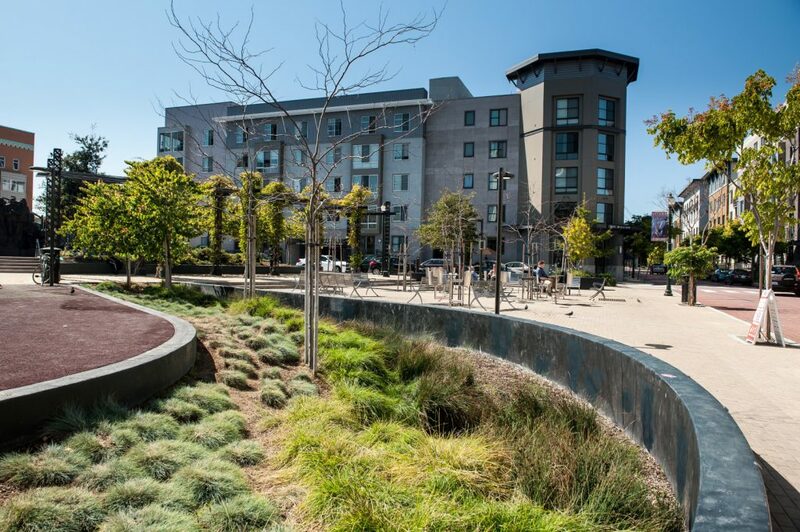 PGAdesign designed this neighborhood park to create a civic space centered on a monumental sculpture in the heart of Oakland’s Uptown Arts District. 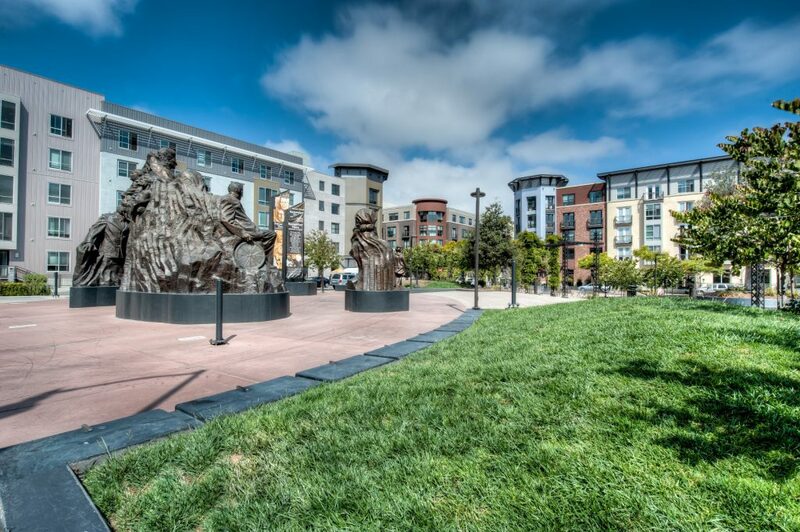 In addition to providing a backdrop for the ‘Remember Them’ memorial, the park functions as a gathering space for the adjacent neighborhood. 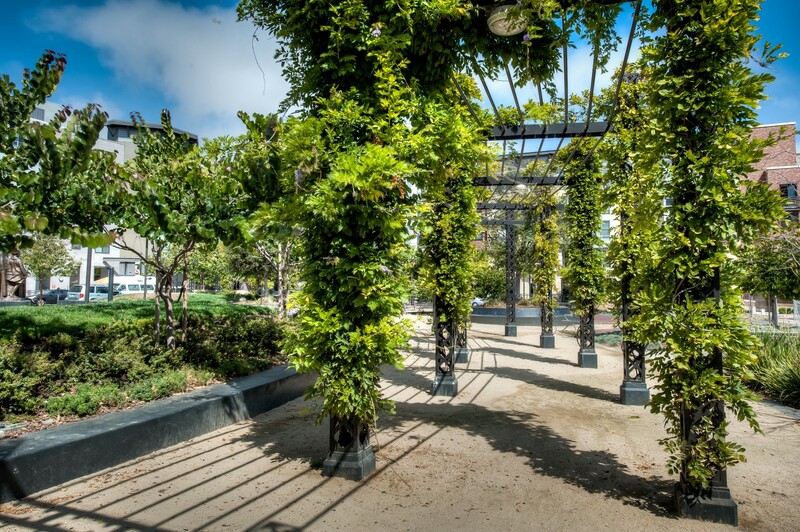 A wisteria-covered trellis and a copse of trees contribute to the intimate feeling of the park, where raised lawn areas are available for lounging. Children can climb on large boulders in a nontraditional play area that is both safe and sophisticated. 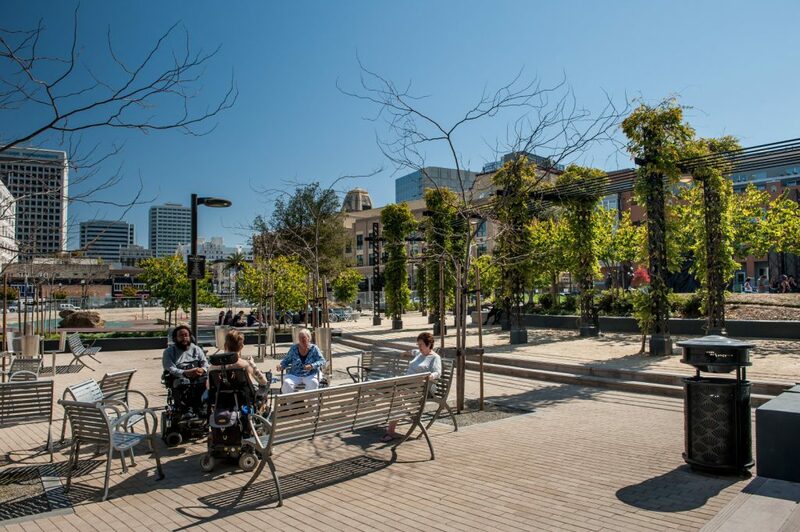 Among the trees are chairs, benches and tables, while an informal stage is open to performers or to students who gather to view the sculpture. All these elements are laid out in a way that provides for multiple paths and clear sight lines. 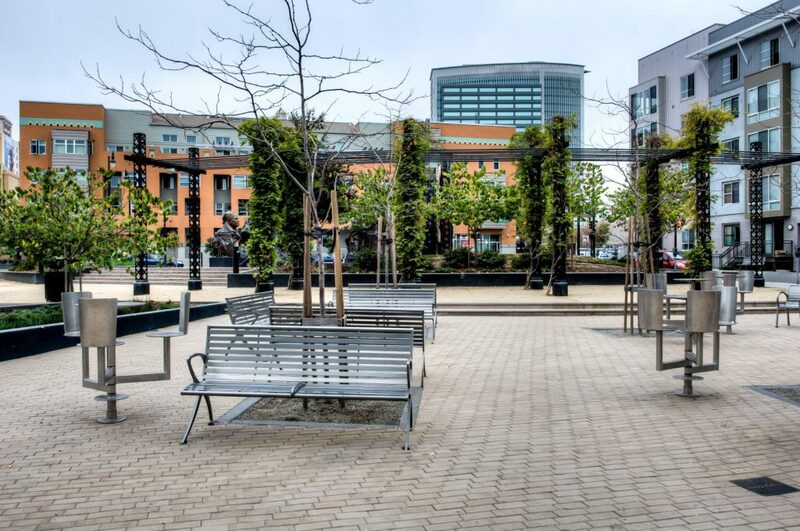 The plan includes bioswales that filter on-site water and porous pavers that allow water to percolate through the bricks. 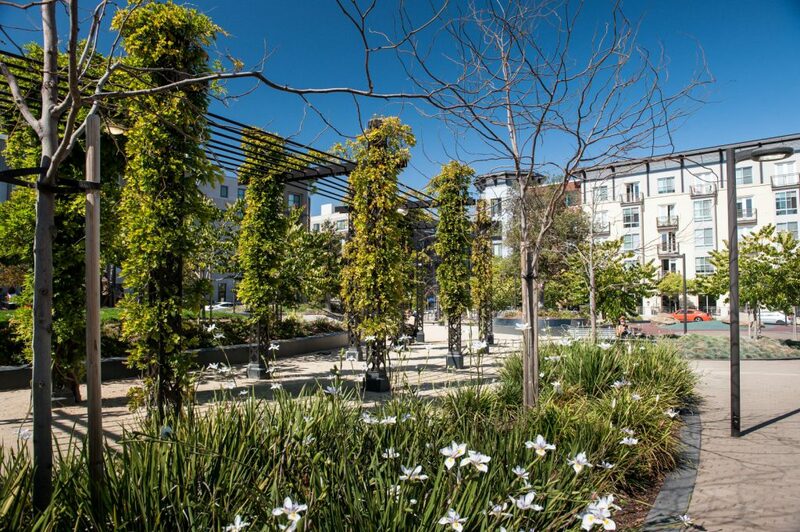 PGAdesign took the lead in seeking approval for the project, earning accolades from the Oakland City Council and several commissions. I received the attached updated park design that incorporates the Chiodo sculpture. Both Mario and I feel the design of the park is exceptionally good. It creates a complementary space for the artwork and retains all the original community-requested elements as well. PGAdesign has graciously done this adjustment to the design pro bono.